In the photo standing from the left are Paul Guido, Tami Palmitesso, Pam Gratzer, Paula Guido holding twins Tanner and Mischa Palmitesso. Seated is Onylee Gratzer. Members of Onylee Gratzerâ€™s family share a laugh during the recent family picnic held at The Manor at Seneca Hill. They also dressed appropriately for the theme which was Get Your Groove On. 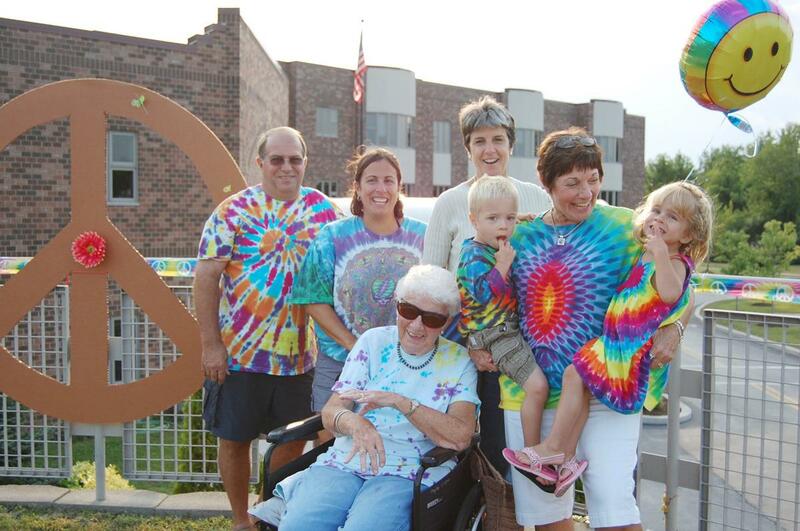 In the weeks leading to the picnic, residents of The Manor made their own tie-dye tee shirts with help from the activities department.Â In conjunction with the colorful attire and smiling faces, Don Lewis and several of his friends drove their antique cars to the picnic. The Oswego Healthcare System includes Oswego Hospital, The Manor at Seneca Hill, a skilled nursing facility; Springside at Seneca Hill, a retirement living community; an urgent care center in Fulton, as well as health services centers in Mexico, Parish and Phoenix. For more information, call (315) 349-5500 or visit oswegohealth.org.